Dr Salinas is a health geographer. He is Associate Professor of Quantitative Methods at Universidad Loyola Andalucía, Spain; and Research fellow at the ANU College of Health and Medicine. He developed his PhD on Spatial Data Analysis through a Multi-Objective Evolutionary Algorithm applied on mental health data. His main area of interest is the relationships between health and territory. 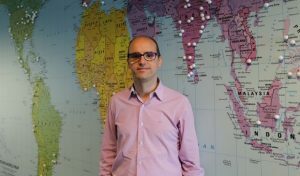 He has applied GIS in social and health studies, service maps and spatial data analysis in health ecosystems research in Europe, America and Australia. Dr. Nasser Bagheri is a Senior Research Fellow at the Australian National University (ANU), recipient of an Australian Research Council DECRA Fellowship and leads a spatial epidemiology team and co-leads Visualisation and Decision Analytics (VIDEA) lab in the Centre for Mental Health Research. 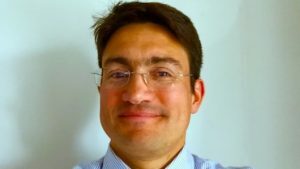 His research has focused on chronic disease risk assessment, particularly, cardiovascular disease (CVD), diabetes, mental health and dementia with a particular interest in spatial variation and quantifying the impact of modifiable risk factors including lifestyle and built environment on chronic disease. Vladimir Canudas is Associate Professor at the School of Demography, ANU. He studied actuarial science/mathematics and population studies, which triggered his interest on formal demography. Mortality and longevity are at the core of his research. He has previously worked at the Max-Planck Institute in Germany and the University of Groningen in the Netherlands, the University of California, Berkeley, the Pennsylvania State University in USA, and he has been Associate Professor at Johns Hopkins Bloomberg School of Public Health in USA, the Max Planck Odense Center, at the University of Southern Denmark.. At the Max Planck Odense Center he coordinated a group on new and alternative ways of mortality forecasting. He has advised UN, WHO and World Bank panels as well as insurance companies, and serves as active member of demographic societies: PAA, EAPS, and IUSSP. Mar Racionero is Associate Professor, ANU Research School of Economics, and Associate Dean (HDR), ANU College of Business and Economics. She is a member of the association of Spanish Researchers in Australia-Pacific. Dr. Racionero obtained the First National Prize, awarded by the Spanish Ministry of Education, upon completion of her undergraduate studies. She pursued her doctoral studies at the Universitat Autonoma de Barcelona, within the IDEA program (International Doctorate in Economic Analysis), where she obtained both a Master and a Ph D degrees in Economics. From 1997 she benefited from a TMR European Community grant to conduct research at CORE (Universite Catholique de Louvain, Belgium). Her main field of research is public economic theory, with particular interest in optimal taxation theory, and her work has been published in refereed international journals (Canadian Journal of Economics, European Economic Review, European Journal of Political Economy, Journal of Public Economic Theory, Oxford Economic Papers and International Tax and Public Finance). Landscape Architect and Urban Designer. Former member of the Madrid Working Group of the Spanish Association of Landscapers. He works at Spackman Mossop Michaels. SMM was recognised at the 2017 International Federation of Landscape Architects Asia-Pac awards Gala Ceremony in Bangkok, held on the 4th of November. Their recent project Bowen Place Crossing was awarded the top prize for ‘Excellence for Infrastructure’. The project has already secured multiple design awards. Janet Laurence is renowned as one of Australia’s leading contemporary artists. 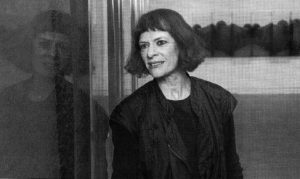 A recipient of both a Rockefeller and Churchill Fellowship, she was a Trustee of the Art Gallery of NSW, on the VAB Board of the Australia Council, and visiting fellow of the 2016/2017 Hanse-WissenschaftKolleg (HWK) foundation fellowship. Janet Laurence is well known for her public artworks and site-specific installations that extend from the museum and gallery into the urban and landscape domain. Recent significant projects and commissions include: a commission with The Australian Tapestry Workshop, Melbourne (2017); an installation for The Pleasure of Love, October Salon, Belgrade (2016); Deep Breathing: Resuscitation for the Reef, for the Paris Climate Change Conference (2015) and the Paris International Contemporary Art Fair (2015), followed up by the installation Deep Breathing at the Australian Museum, Sydney (2016); Tarkine for a World in Need of Wilderness, Macquarie Bank Foyer, London (2011). Janet also exhibits widely in major art institutions and museums, including Australia, Japan, Germany, Denmark, Hong Kong and the UK. Recent exhibitions include: The Matter of the Masters, Art Gallery of New South Wales (2018); Inside the Flower, IGA Berlin, Germany (2017); Force of Nature II, curated by James Putnam, The Art Pavilion, London (2017); the 13th Cuenca Biennial, Ecuador (2016); Deep Breathing: Resuscitation for the Reef, Muséum National D’Histoire Naturelle, Paris, (2015). 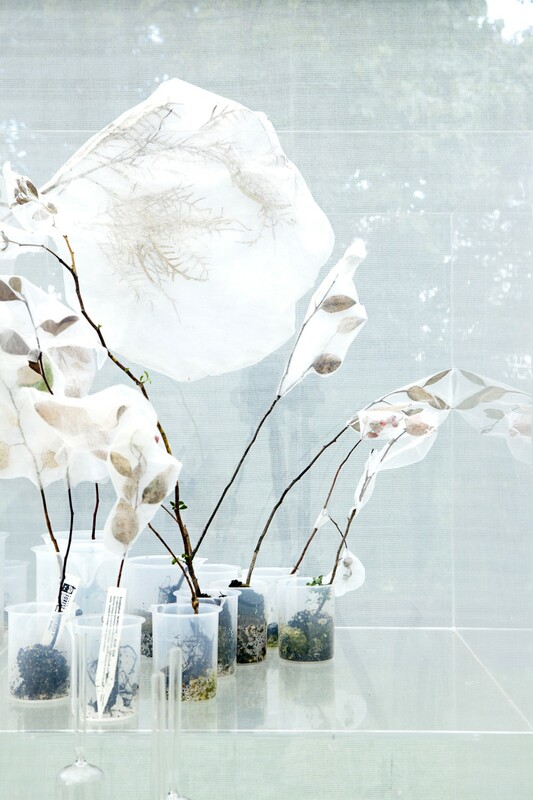 Her groundbreaking practice explores issues of the natural world and addresses our relationship to nature. Across photography, sculpture, video and installation, Laurence creates visually immersive environments to reflect on the mutability of nature, science, memory and loss. She has delved increasingly further into this fascination with the interconnection of life forms and ecologies to produce work driven by themes of alchemical transformation, history and perception that is distinctive, complex and beautiful. Professor Glenn Albrecht is Honorary Associate in the School of Geosciences, The University of Sydney. Formerly he was Professor of Sustainability at Murdoch University in Western Australia and Associate Professor in Environmental Studies in University of Newcastle. He is an environmental philosopher with both theoretical and applied interests in the relationship between ecosystem and human health. 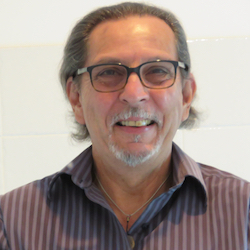 He has pioneered the research domain of “psychoterratic” or earth related mental health conditions with the concept of “solastalgia” or the lived experience of negative environmental change. 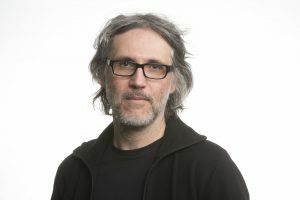 He also has publications in the field of animal ethics including the ethics of relocating endangered species in the face of climate change pressures. With colleagues, Nick Higginbotham (University of Newcastle) and Linda Connor (Sydney University) under Australian Research Council Discovery Project grants, he has researched the impact of mining and the impact of climate change on communities in the Hunter Region. Glenn has also been involved as a Chief Investigator in ARC Discovery Project research on the social and ethical aspects of the thoroughbred horse industry worldwide. He is a pioneer of transdisciplinary thinking and, with Higginbotham and Connor produced a major book on this topic, Health Social Science: A Transdisciplinary and Complexity Perspective with Oxford University Press in 2001. His current major research interest, the positive and negative psychological, emotional and cultural relationships people have to place and its transformation is one that sees him having an international research profile. Dr. Juan Pablo Guerschman is a senior Research Scientist with CSIRO Land and Water. He joined CSIRO in 2005, after receiving a PhD in Agricultural Sciences from the University of Buenos Aires, Argentina. In his first years in CSIRO as a postdoc his research focused on the calibration and application of a regional carbon cycle model, and the integration of remote sensing and ground-based observations through model-data assimilation for the analysis of carbon dynamics of tropical savannas. From 2007 onwards, he has been a project researcher and then research scientist with the model-data integration team of the Environmental Earth Observation Program. 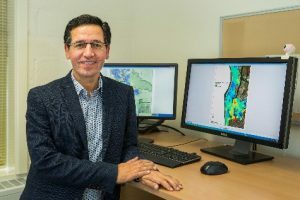 He has played a leading role in developing and evaluating methods to use satellite observations in hydrological and land management applications. Between 2009 and 2012, he led a part of the research portfolio of the Water Information Research & Development Alliance between the Bureau of Meteorology and CSIRO Water for a Healthy Country Flagship, around remote sensing of land cover and landscape water and using this to inform the Australian Water Resources and Assessment System. Juan has also been actively involved in developing algorithms for estimating vegetation cover from remotely sensed data across rangelands and croplands and applying these estimates to deliver timely information for better management of these environments. 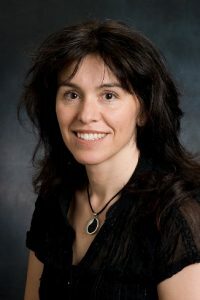 Dr. Marta Yebra is a Senior Scientist at the Centre for Water and Landscape Dynamics (Fenner School of Environment and Society) with a focus on using remote sensing data to monitor, quantify and forecast natural resources, natural hazards, and landscape function and health at local, regional and global scales. From 2004-2010 she was employed at the University of Alcalá, where she was involved in two large multidisciplinary projects which assessed and integrated the main fire risk factors and analysed fire risk trends, considering potential changes in socio-economic factors as well as foreseen impacts of global climate change. During her research, she spent time at the Centre for Spatial Technologies and Remote Sensing (University of California at Davis, USA); the National Institute of Agricultural Technology (INTA, Argentina) and the School of Environmental and Life Sciences of Salford (UK). From 2010 to 2013 Marta was a postdoctoral fellow at CSIRO Land and Water as developing innovative methods to integrate satellite and in situ observations from micrometeorological tower sites with models to predict carbon-water coupling. In 2017, Dr. Yebra was awarded the prestigious Max Day Environmental Science Fellowship from the Australian Academy of Science. She was also awarded the CSIRO Pyne-Scott Career Award in 2013. 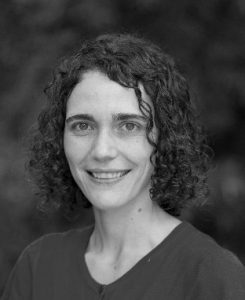 Marta is an Associate editor for Remote Sensing of Environment (Elsevier), highest ranked journal in Earth observation for environmental applications (impact factor 6.265). She has been invited to present at 17 national and international conferences, including two keynote talks. Dr. Yebra has been a member of nine scientific conference committees and convenor of national and international conferences and workshops. Academic teaching in 11 undergraduate and graduate courses, including “Advanced Remote Sensing and GIS”, “Fire in the Environment”, and “Environmental measurement, modelling and monitoring”. Accreditation as a senior lecturer by the Spanish Agency for Quality Assessment and Accreditation. She supervises honours and graduates research scholars in diverse wildland fire topics. 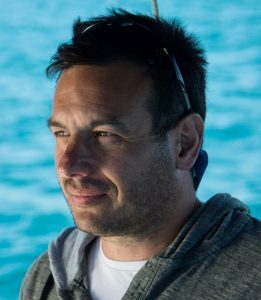 Dr. Sánchez-Bayo was born in Spain and studied at the Autonomous University of Madrid, where he obtained a Master’s degree in Environmental Sciences and a doctorate in Ecology. After a post-doctoral stint in Australia, he was an Assistant Professor at Chiba University (Japan) for five years, where he taught environmental toxicology and studied the ecological impacts of pesticides in paddy fields. Upon his return to Australia, he worked at the Centre for Ecotoxicology in the Office of the Environment & Heritage NSW. He is currently Honorary Associate at the Sydney Institute of Agriculture within the School of Life & Environmental Sciences, University of Sydney. He is author and co-author of over eighty scientific articles and book chapters on the environmental impact and risk of pesticides, ecology and related subjects, and editor of the book “Ecological Impacts of Toxic Chemicals”. 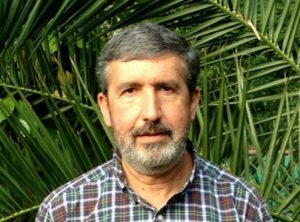 He serves as Associate Editor of the journal Entomologia Generalis, reviewer of some 50 international journals and expert assessor for evaluation of scientific projects in seven countries.